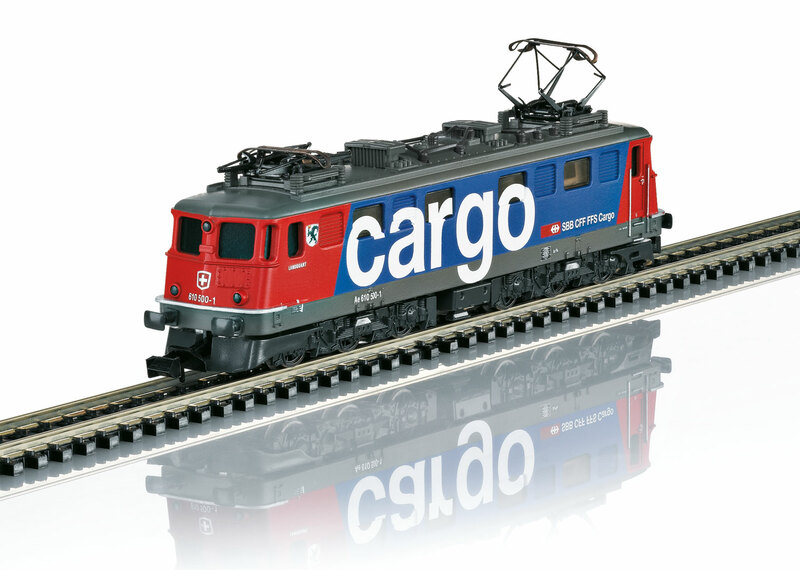 Prototype: Swiss Federal Railways class Ae 610 electric locomotive, freight service area (SBB Cargo). 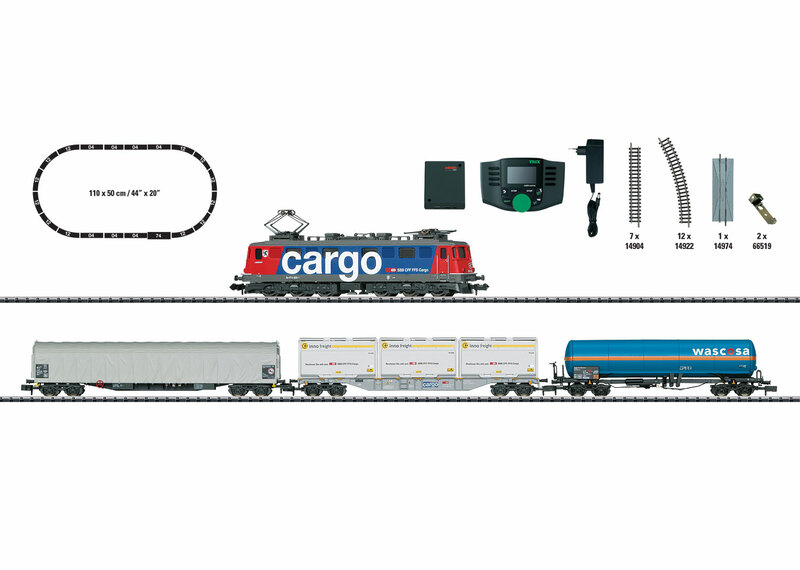 Three different Swiss freight cars: 1 each gas tank car for Schröder & Klaus in Lucerne (registered in Germany), 1 each type Rilns sliding tarp car, and 1 each type Sgns container flat car with Innofreight containers (registered in Switzerland). Locomotive equipped with a DCC-Selectrix decoder. Model: The locomotive frame is constructed of die-cast metal. It has a DCC-Selectrix decoder. The locomotive has a 5-pole motor with a flywheel. The headlights change over with the direction of travel. 4 axles powered. Traction tires. The cars have close coupler mechanisms. 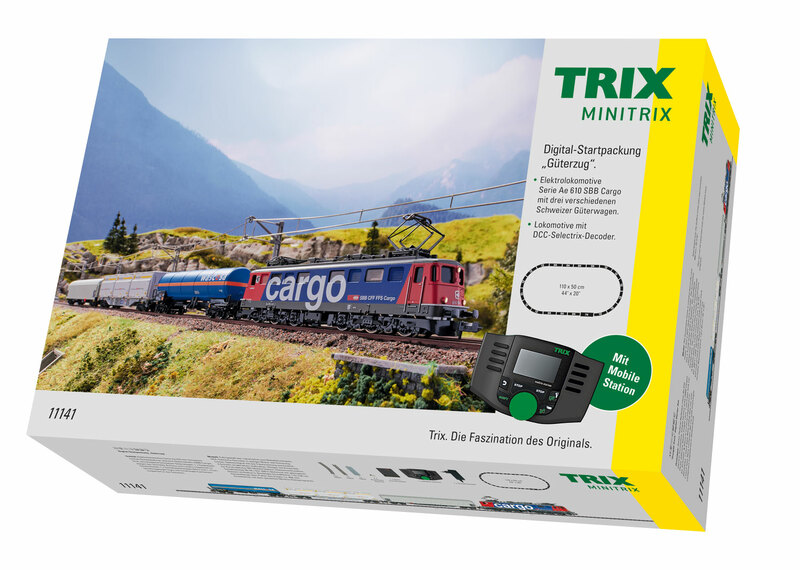 A Mobile Station, track connector box, a 230 volt / 36 VA switched mode power pack, and oval of track with Radius 2 curved track are included. Required space: 110 x 50 cm / 44" x 20". Total length over the buffers of the train approximately 468 mm / 18-7/16". This set can be expanded with the entire Minitrix track program.